The city of Santa Clarita has updated the list of productions shooting in the city and the Santa Clarita Valley for the week of Jan. 14-20, 2019. Santa Clarita enjoyed an increase in on-location filming in Fiscal Year 2017-2018 (July 2017 to June 2018), with the city’s Film Office recording 560 film permits and 1377 film days, generating an estimated $33.1 million in economic impact to the local community. This represented a 2.8 percent increase in permits, an 8.9 percent increase in film days and a 9.8 percent increase to the estimated economic impact when compared to Fiscal Year 2016-2017. 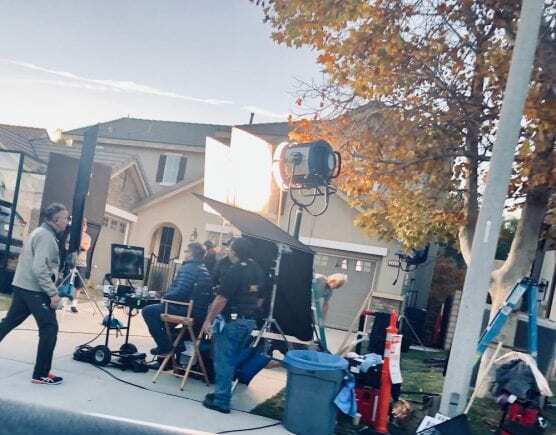 It’s the fifth consecutive fiscal year the Santa Clarita Film Office has recorded more than 500 permits and $30 million or more in estimated economic impact generated from location filming alone. These stats don’t include the film days and economic benefit from filming on certified sound stages, which does not require a film permit. Santa Clarita’s numerous sound stages, movie ranches, thousands of film-friendly locations, its one-stop shop Film Office, low-cost film permits and ideal location within the industry’s 30-Mile Zone have made the city one of the most filmed areas in California. For more information about filming in Santa Clarita, visit FilmSantaClarita.com or contact the Film Office at 661-284-1425. For an insider’s view to filming in Santa Clarita, follow the Santa Clarita Film Office on Instagram (@FilmSantaClarita).